There is no cure for knee osteoarthritis (KOA) and typically patients live approximately 30-years with the disease. Most common medical treatments result in short-term palliation of symptoms with little consideration of long-term risk. 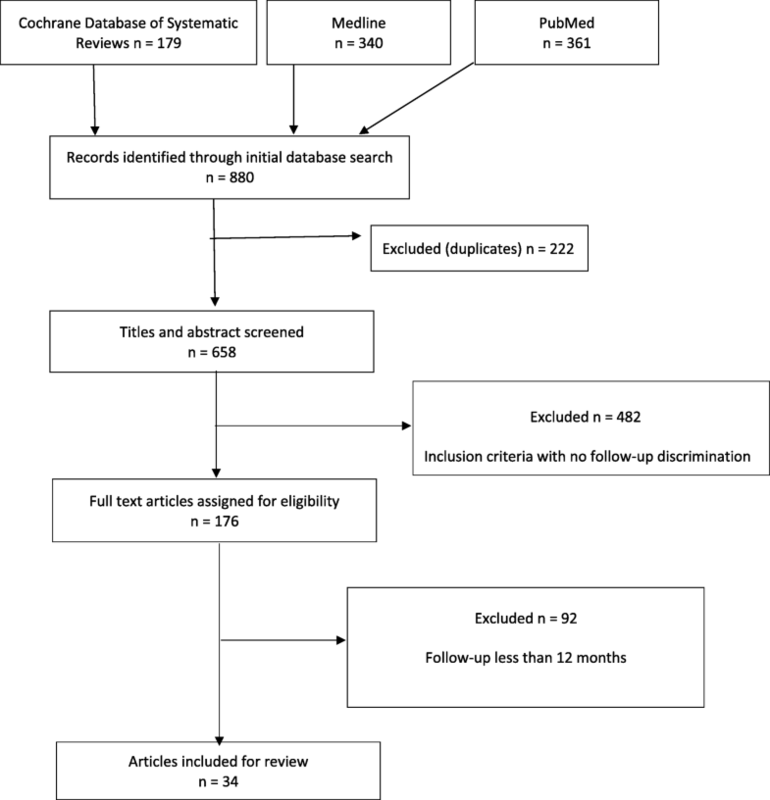 This systematic review aims to appraise the current evidence for the long-term (≥12 months) safety of common treatments for knee osteoarthritis (KOA). Cochrane Database of Systematic Reviews, Medline and PubMed were systematically searched from 1990 to July 2017, inclusive. Inclusion criteria were 1) peer-reviewed publications investigating treatments for KOA referred to in the Australian Clinical Care Standard and/or Therapeutic Guidelines: Rheumatology 2) specifically addressing safety of the treatments 3) with ≥12 months of follow-up and 4) Downs and Black quality score ≥ 13. Thirty-four studies fulfilled the inclusion criteria. Lifestyle modifications (moderate exercise and weight loss), paracetamol, glucosamine, Intraarticular Hyaluronic Acid (IAHA) and platelet-rich-plasma (PRP) injections have a low risk of harm and beneficial ≥12 month outcomes. Although Nonsteroidal Anti-inflammatory Drugs (NSAIDs) provide pain relief, they are associated with increased risk of medical complications. Cortisone injections are associated with radiological cartilage degeneration at > 12 months. Arthroscopy for degenerative meniscal tears in KOA leads to a 3-fold increase in total knee arthroplasty (TKA). TKA improves primary outcomes of KOA but has a low rate of significant medical complications. Given the safety and effectiveness of lifestyle interventions such as weight loss and exercise, these should be advocated in all patients due to the low risk of harm. The use of NSAIDs should be minimized to avoid gastrointestinal complications. Treatment with opioids has a lack of evidence for use and a high risk of long-term harm. The use of IAHA and PRP may provide additional symptomatic benefit without the risk of harm. TKA is associated with significant medical complications but is justified by the efficacy of joint replacement in late-stage disease. PROSPERO International prospective register for systematic reviews; registration number CRD42017072809. The online version of this article ( https://doi.org/10.1186/s12891-019-2525-0) contains supplementary material, which is available to authorized users. Osteoarthritis (OA) is a chronic degenerative joint disease of dynamic pathology with multifactorial aetiology. It involves progressive softening and loss of articular cartilage, subchondral bone sclerosis, cyst formation and the development of osteophytes. OA of the knee accounts for more dependence in walking, stair climbing and other lower-extremity tasks that any other disease . To illustrate the impact of knee OA (KOA) on a typical population in a Western country, we’ve chosen example references from Australia, familiar to our author group. International comparison studies show that Australia’s rate of KOA is similar to other Western nations and affects 2.1 million Australians (9% of the population) . Large numbers of arthroplasties are performed due to KOA; in 2015, 54,277 total knee arthroplasty (TKA) surgeries were performed in Australia due to KOA . The median age of KOA diagnosis is 55-years and typically people live about 30-years with the disease . As there is no curative treatment for OA currently; treatments are aimed at reducing pain and improving function. Systematic reviews (SR) are a useful method to synthesise the efficacy of treatments for KOA, however most of these reviews have not considered the long-term risks associated with treatments. This was because most studies follow patients for a short period of time (e.g. 3–6 months). This results in a significant evidence gap in the literature because it is likely that short-term improvements such as pain relief are overrepresented whilst potential long-term risks might be underrepresented in these studies. Given that a patient with KOA lives with their condition for an average of 30-years, an evidence-based understanding of the safety of treatments is important to ensure patient safety. This review aims to appraise the current evidence for long-term (≥12 months) safety of common treatments for KOA. Three databases (Cochrane Database of Systematic Reviews, Medline and PubMed) were systematically searched from 1990 to July 2017 inclusive, following the Preferred Reporting Items for Systematic Reviews and Meta-analysis (PRISMA) guidelines . A priori study protocol was registered on the PROSPERO International prospective register for systematic reviews (http://www.crd.york.ac.uk/PROSPERO/display_record.php?ID=CRD42017072809); registration number CRD42017072809. The PICO (population, intervention, comparator/control and outcome) concept  was used to develop search strategy (Appendix 1) and the inclusion/exclusion criteria (Appendix 2). Studies were considered if they were: 1) peer reviewed publications investigating treatments for KOA listed in the Australian Clinical Care Standard  and/or Therapeutic Guidelines: Rheumatology , 2) specifically addressed safety of the treatments; 3) with ≥12 months of follow-up and 4) Downs and Black  quality score > 13 (Appendix 2). A study was excluded from the review if it failed a single criterion. Of the 880 records identified in the initial keyword search, 34 studies fulfilled the inclusion criteria, had a Downs and Black  quality score ≥ 13 (Appendix 2) and are included in the synthesis (Fig. 1). A summary of included studies including study population characteristics, medium-long term treatment impact on the disease and non-disease side effects that have the potential to last 12 months are presented in Table 1. Results of the Downs and Black  methodological quality assessment was presented in Additional file 1: Table S1. No study received score ≤ 13. Twenty-two studies [11, 12, 13, 14, 15, 16, 17, 18, 19, 20, 21, 25, 26, 27, 28, 29, 32, 33, 37, 39, 42] reached the maximum quality score of 22 out of 26 and thus have a low risk of bias. The mean score was 21. Four studies [10, 11, 12, 13], including 839 patients investigated exercise as treatment for KOA. Clinically significant improvements in Western Ontario and McMaster Universities Osteoarthritis Index (WOMAC), Visual Analogue Scale (VAS) and Knee injury and Osteoarthritis Outcome Score (KOOS) were found at 1-year with no adverse events (Table 1). Two studies [12, 14], including 956 patients investigated the role of weight reduction as treatment for KOA and no adverse outcomes were reported. Eighty-two patients who were on a dietary intervention aimed for an average of 5% weight loss over 18 months and subsequently reported an 18% improvement in WOMAC scores . 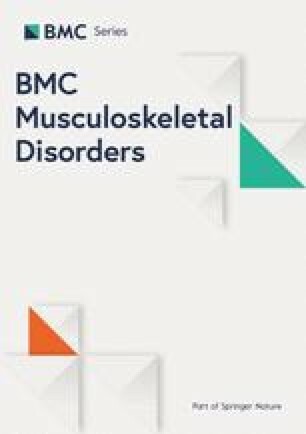 In addition, participants who lost more than 5% of their body weight over 48 months showed significantly lower cartilage degeneration on MRI compared to those in the stable weight group  (Table 1). Three studies [13, 15, 17] investigated the efficacy of Glucosamine and Chondroitin Sulphate (CS) in 986 patients with KOA for up to 3 years. Two studies demonstrated clinically significant decreases in WOMAC scores. However, no difference in Joint Space Width (JSW) was evident . Minor gastrointestinal side effects such as dyspepsia were present in both the treatment and placebo groups [13, 15, 17] (Table 1). One RCT  with 571 patients randomised to receive 4 g/day Paracetamol or Naproxen 750 mg/day demonstrated improvement from baseline in WOMAC score at 6 and 12 months. Minor hepatic, renal and gastrointestinal side effects were reported (Table 1). Two studies [18, 19], including 1233 patients investigated the use of non-steroidal anti-inflammatory drugs (NSAIDs) as treatment for KOA. Naproxen treatment was associated with improvement from baseline in WOMAC score at 6 and 12 months however gastrointestinal bleeding was reported . In contrast, 662 patients with Kellgren-Lawrence(KL) grade 2–3 KOA received Celecoxib as treatment and did not report any improvement in WOMAC from baseline . In addition, gastrointestinal and renal side effects were reported in this group  (Table 1). No studies for opiate treatment met the inclusion criteria for this analysis. Two RCTs [20, 21] with 208 patients used the same treatment protocol of 3 monthly triamcinolone injections for 2-years. The primary outcome measures were WOMAC  and cartilage loss on MRI . These studies reported mixed results, while improvement in WOMAC was reported over a 2-year treatment period , significantly greater cartilage volume loss and no difference in knee pain was reported  (Table 1). Ten studies [22, 23, 24, 25, 26, 27, 28, 29, 30, 31], including 1904 patients investigated intra-articular hyaluronic acid (IAHAs) as treatment for KOA using WOMAC scores to evaluate the clinical outcome. Seven studies [22, 24, 27, 28, 29, 30, 31] demonstrated clinically significant improvement to WOMAC score from baseline while three studies [23, 25, 26] showed no or insignificant difference in pain and function outcomes. The most common side-effects were self-limiting pain and swelling at the injection site and no major adverse events were reported (Table 1). Two [32, 33] studies with 174 patients investigated platelet rich plasma (PRP) as treatment for KOA. Both studies reported clinically significant improvement in pain and function with no adverse effects. Pain and swelling were the main side effects (Table 1). Five studies [34, 35, 36, 37, 38] with 72 patients investigated stem cells as treatment. Bone marrow mesenchymal stem cells were used in four studies and one study used adipose derived stromal vascular fractions. Improvements in WOMAC [35, 38] or MRI cartilage mapping [34, 36, 37] parameters were reported. Due to small sample size, all of aforementioned studies were under powered, as such results are inconclusive. Side effects included rash, erythema, transient joint pain and swelling (Table 1). One study  investigated the progression to TKA in patient who underwent meniscectomy because of degenerative meniscal tears. Of the 335 patients who underwent meniscectomy, 63 progressed to a TKA. This was a threefold increase in risk of progression to a TKA compared to an age matched control group (Table 1). Four studies [40, 41, 42, 43] investigated the long-term effect of various interventions and the progression to TKA. In one study, ninety-five patients with moderate to severe OA showed significant improvement in KOOS score post TKA . However, compared to the control group, the TKA group had a fourfold increase in complications over the 12-month follow-up period. The other studies showed that previous knee surgery including microfracture leads to an increase in progression to a TKA  and post-traumatic KOA requiring TKA has a worse outcome than that for non-traumatic OA  (Table 1). This review is the first to synthesise and evaluate the studies which specifically assessed safety of KOA treatment with a minimum follow-up period of a year. This is important because KOA is diagnosed on average at 55-years of age and typically people live with the disease for about 30-years. Lifestyle modifications (moderate exercise [9, 10, 11, 12, 13] and weight loss [12, 13, 14]), paracetamol , glucosamine [15, 16], IAHA [22, 23, 24, 25, 26, 27, 28, 29, 30, 31] and PRP injections [32, 33] found to have a low risk of harm and beneficial treatments outcomes at ≥12 months. Australian general practitioners (GPs) see 6.2 patents with knee-OA for every 1000 consultations . Within the primary care setting, use of nonpharmacological treatments (e.g. exercise) as a first-line management for KOA is low compared to pharmacological management and the rate of surgical referrals are high . Our results indicate that nonpharmacological treatment such as exercise [10, 11, 12, 13] and weight management [12, 14] are effective in management of KOA with minimal adverse effects. Primary care settings provide a great platform to support lifestyle interventions effective in treatment and management of KOA. Therefore, weight loss and exercise should be advocated as part of the treatment in all patients due to the low risk of harm, cost effectiveness as well as associated health benefits. It is important to allocate resources and invest in supporting GPs and other primary health care providers to provide lifestyle interventions to treat and manage KOA at the community level. Opiates continue to be used to manage pain associated with KOA, irrespective of a large body of evidence questioning the benefits of opioid use . We were unable to evaluate evidence on the effectiveness and safety of long-term (≥ 12 months) opioid therapy for KOA because no studies met the inclusion criteria as the follow-ups of those studies considering safety were < 6 months. This is a concern and a limitation of the available evidence relating to KOA management. A recent systematic review into chronic pain management found that there is insufficient evidence to support the effectiveness of long-term opioid therapy . Opioids provide effective analgesia however, benefits are limited by frequent side effects such as nausea (30%) and vomiting (13%), constipation (23%), dizziness (20%) and somnolence (18%) . Long-term opioid use increases the risk of abuse and addiction . Rates of iatrogenic addiction range from 1 to 26% and have to be carefully delineated from misuse or abuse a more conservative diagnosis of addiction is present in around 8% of those prescribed long-term opiates for chronic pain . In the United States, opioids were prescribed to 15.9% of patients with KOA  and there has been a significant increase in opioid prescriptions for persons with KOA . Australia is following a similar pattern  and opioid overuse is currently dominating public debate. In the first instance, opioids should be prescribed for a short-term trial basis, as part of a multimodal strategy, with regular review of treatment response and adverse effects. This treatment should perhaps be reserved for those who are unable to have other treatments like TKA because of multiple medical comorbidities. In terms of other oral analgesics, paracetamol has a more favourable safety profile than NSAIDS but the risk of liver toxicity is not negligible on the recommended dose of up to 4 g/day. Treatment with high dose paracetamol (> 3 g/day) is associated with a greater risk of hospitalisation due to gastrointestinal (GI) perforation, ulceration or bleeding compared to 3 g/day . NSAIDS generally provide superior pain relief compared to paracetamol but with increased safety considerations. For example, long-term use of NSAIDs medications are associated with increased risk of complications such as gastrointestinal [18, 19] and renal  complications. Indeed, oral NSAIDs increase in the risk of upper gastrointestinal complications, including peptic ulcer perforation, obstruction, and bleeding by three- to five-fold. The use of selective COX2 inhibitors like celecoxib has been researched extensively to decrease the gastrointestinal risk. However, a recent RCT reported that treatment with celecoxib increased the risk of recurrent GI bleeding by 9% in very high-risk patients . In addition, prolonged NSAID use is associated with adverse cardiovascular events in the short and long term [53, 54, 55]. There are risks associated with injectable treatments such as cortisone, IAHA and PRP. Recurrent cortisone injections into the knee decrease cartilage volume . In addition, cortisone injections into the knee before surgery increases the risk of subsequent infection in people who undergo TKA . The incidence of serious infectious complications following cortisone injections into the knee ranges widely, and may be as high as 1 in 3000 in high-risk patients . Systemic effects reported include transient hyperglycemia, warmth or flushing of the skin and cushingoid appearance if treatment is too frequent. Local reactions include subcutaneous or cutaneous atrophy and capsular periarticular calcification . Adverse events associated with IAHAs include severe acute inflammatory reactions (SAIR) or pseudo septic reactions. Whilst 2–8% of patients who received the cross-linked hylan G-F 20 preparation reported a SAIR , SAIRs have not been reported after injection of any of the natural IAHAs. Despite similarities, IAHA products should not be treated as a group, as there are differences in IAHA products that influence both efficacy and safety. A recent Cochrane review did not report any major safety issues associated with IAHA except local adverse events such as transient pain and swelling at the injection site . Surgical procedures are associated with risk of infection, bleeding and deep vein thrombosis (DVT). Since there is a tendency for high rates of surgical referrals among Australian GPs , it is important to avoid unnecessary surgeries such as knee arthroscopy for degenerative menisci, particularly because that progression to a TKA may be greater after an arthroscopy . In 2014, there were 54, 277 knee replacements performed in Australia . Compared to other Organisation for Economic Co-operation and Development countries, Australia has a higher than average TKA rate. It is generally presumed that the increase in population ageing and obesity rates are responsible for the observed increase in TKA rates. In Australia, 63.4% adults are overweight or obese  and 16% Australians are aged 65 years and over . In addition, 45% of the population does not meet physical acitivity reccomendations . Therefore, as discussed above it is important that primary care practitioners use lifestyle modifications such as exercise and weight management as first lines of treatment given their associated benefits in the management of KOA as well as to reduce the burden on the Australian healthcare system associated with inactivity related complications. Findings from this review indicate that most of the commonly used KOA treatments (based on short-term improvements or traditional treatment protocols) might have harmful effects in the longer-term. It can be hypothesised that some of the recent increase in rates of TKAs observed in Australia might be due to iatrogenic worsening of KOA. The increasing rates of TKA have been previously explained by better availability of the procedure, ageing and increased obesity. However, long-term worsening of KOA outcomes from the overuse of knee arthroscopy, cortisone injections, NSAIDs and opiates, might have contributed to worsening of clinical outcome for KOA patients. Given that on average patents with KOA live 30-years with their condition, long-term safety and disease progression needs to be considered as a vital aspect of treatment regimen than short-term symptom relief. Perspectives on KOA management need to shift from a short-term viewpoint to a long-term one, with improved clinical acumen in prescribing and managing the risks associated with the currently available treatments options. High methodological rigour was maintained by developing an a priori study protocol per PRISMA guidelines . This review, therefore, provides a reliable overview of current data pertaining to long term efficacy and safety of KOA treatments. However, by the standards of a systemic review, another author should have screened the articles and this is a limitation to the search strategy. The number of studies included is limited as only studies addressing the safety of KOA treatment with ≥12 months of follow-up were included. Thus, short term benefits and studies which did not specifically assess safety were excluded. This limitation is acknowledged as there are good studies that look at short and long-term outcomes including side effects of treatment that don’t specifically discuss safety that have been omitted by the search strategy. Furthermore, a complete picture of a treatment should ideally consider both short and long term. However, given patients typically live approximately 30-years with the disease, it is important to develop an evidence-based understanding of the long-term harms of treatments is important to ensure patient safety. KOA management algorithms should shift from a short-term viewpoint to a long-term one, with a focus on the long-term safety and efficacy of currently available treatment options, to enable improved clinical acumen in managing KOA. Many commonly used KOA treatments have harmful effects in the longer-term. NSAIDs increase the risk of gastrointestinal, renal and cardiovascular side effects. We could locate no evidence regarding the risks of long-term harm (addiction, overdose and death) attributable to opiate treatments in patients with KOA. Surgery is associated with risks of medical complications such as deep vein thrombosis and infection however in late-stage disease can be justified by the efficacy of joint replacement; whilst use of knee arthroscopies cannot be justified. Exercise and weight loss are both safe and effective for long-term treatment and these should be advocated in all patients. To supplement these lifestyle modifications, the judicious use of analgesia, intra-articular injections of cortisone and consideration of hyaluronic acids and platelet-rich plasma are recommended for symptomatic relief in KOA. JC participated in study design, collection of the data, the analysis and interpretation of the data, and the drafting of the article. JF participated in the study design, drafting the article and critical revisions of the manuscript and provided final approval of the article. NKPP participated in the study design, drafting the article and critical revisions of the manuscript. JO participated in the study design, drafting the article and critical revisions of the manuscript. All authors have read and approved the manuscript. The aim of this review was to investigate the risks and harms associated with commonly used treatment for knee osteoarthritis. For reasons of practicality, it was deemed acceptable to include only studies published in peer-reviewed journals. For reasons of practicality, it was deemed acceptable to include only studies published in English. Average age of knee osteoarthritis diagnosis is 55-years and typically people live about 30-years with the disease. Operative and non-operative management of knee osteoarthritis not listed in the Australian Clinical Care Standard  and/or Therapeutic Guidelines: Rheumatology . Commonly accepted treatments were sought out and the authors decided upon treatments listed in Australian Clinical Care Standard  and/or Therapeutic Guidelines: Rheumatology . Studies specifically addressed safety of the treatments with ≥12 months of follow-up. Long-term effect of a treatment could be either: (1) Positive OR negative effect of index treatment vs comparison treatment in any trial persisting at ≥12 months; or (2) Positive OR negative effect of index treatment vs comparison treatment in any trial showing significant change in any objective disease indicator (e.g. cartilage thickness on magnetic resonance imaging (MRI) or X-ray) at ≥12 months; or (3) Effect of index treatment showing significantly increased OR reduced risk of progression to TKA; or (4) Significant increase in side-effect or harm related to treatment with a potential for ongoing harm from this condition to persist beyond 12 months. Short-term effects of osteoarthritis treatments. Side effects and adverse effects were not included in this review as they are typically short-term issues (e.g. allergic rash, post-procedure soreness). The primary outcomes of interest for this review was to describe the long-term effects of the knee osteoarthritis treatments. As there is no curative treatment for OA currently, treatments are aimed at reducing pain and improving function. The prevalence of osteoarthritis increases with age, particularly after the age of 55-years such that the average person lives 30-years with knee OA. Therefore, it is important to appraise the long-term effects of knee OA treatment.